Veterans Stand Down Set-Up (2/21). 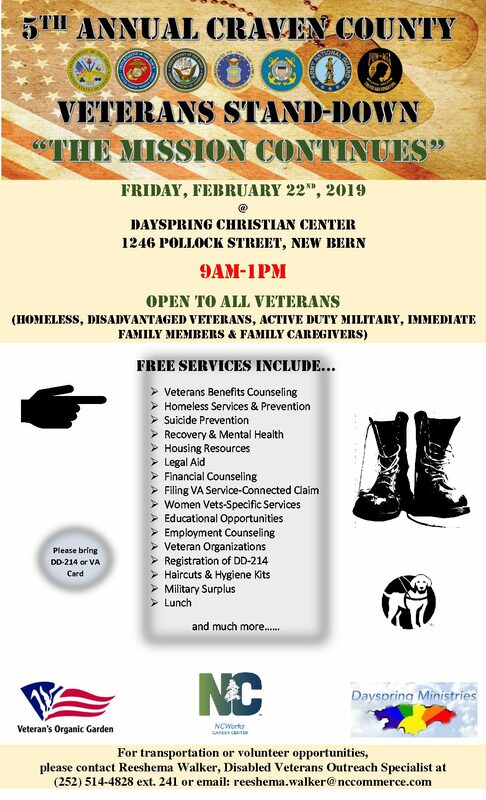 Help with this outstanding event which helps our local homeless and disadvantaged Veterans, Active Duty, immediate family members, and family caregivers with food, housing resources, haircuts, hygiene kits, and many more services. Meet at the Roadhouse at 0715; will return around 1230. Proper civilian attire. Food and beverages provided! Requesting 5 volunteers, please.